Happy Weekend everyone! My weeks are always so full of great moments with Baby K, I could fill up 80 blog posts with pictures and still not use up all the good memories we create. But for now, I’ll give you the top five moments from this week. 1.) Baby K is extremely popular and had some more visitors. Her Great Aunt came to visit over the weekend and her cousin was here all week. It’s been awesome to see so many people loving on my baby girl. 2.) 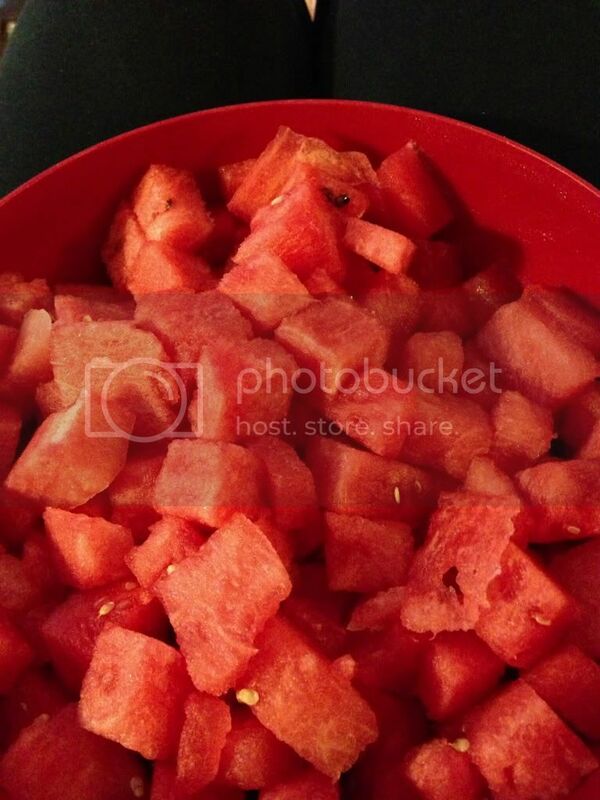 Watermelon is so yummy! I may or may not have eaten a lot of the fab fruit on Wednesday night. 3.) Baby K is developing and changing so rapidly. 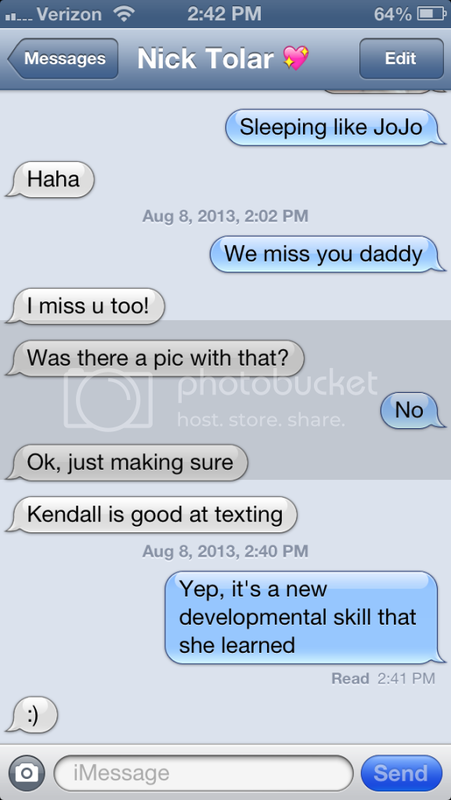 Each day she shows us she can do something new, including text! 4.) 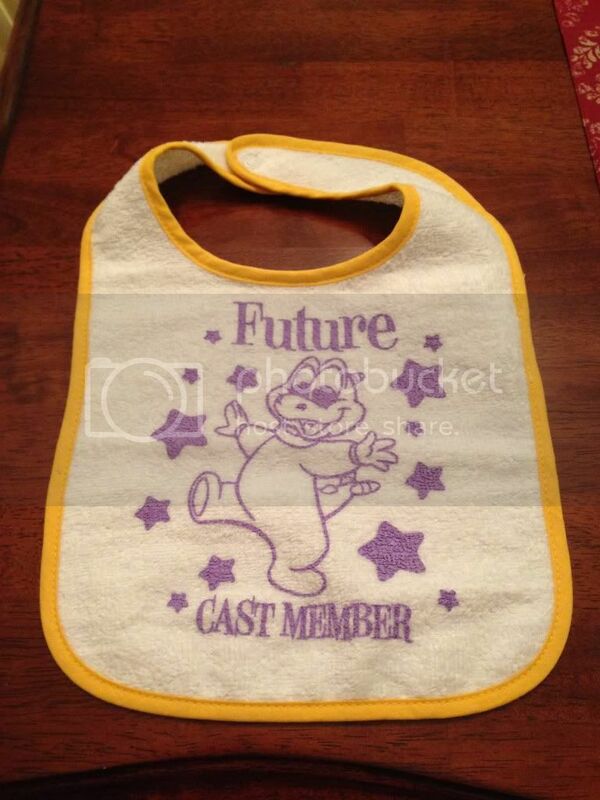 My Uncle sent this bib for Baby K – a future cast member at Disney. 5.) Tolar was awesome and let me have a night of shopping All. To. Myself!!!! It felt so good to go from store to store and have some time to just clear my head (and clear the bank account too!). 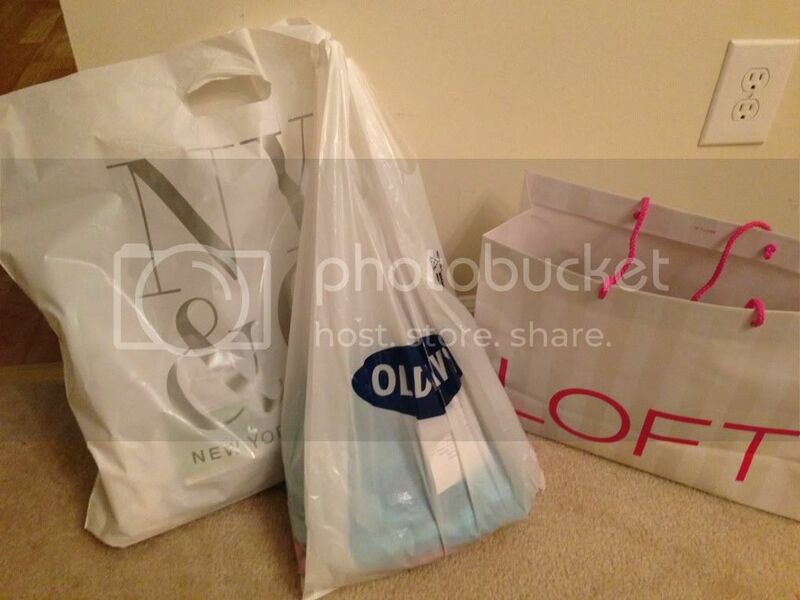 yeah for some shopping time! I need to do that! do you pump and leave bottles for her? Baby K is PRECIOUS! It is crazy how quickly the babes change and grow! Today my baby pulled herself into the standing position all by herself for the first time (and she's only 7 months... I'm dying!) AND fell asleep sitting up for the first time (that one killed me too. hilarious!) Aaaahhh! Baby K is so cute and hugable now that watermelon looks so good I love watermelon.